Franchisee - Profile of qualification - ICEZEIT The coolest place in town. 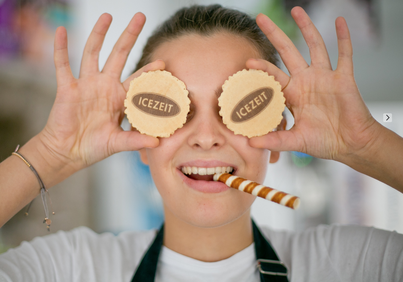 Basically ICEZEIT is looking for franchisees with a qualification in similar business fields such as gelataria, coffee shops, bakeries, restaurants and distributors of similar goods in the food & beverage sector. Whenever ICEZEIT is approached, she will take it seriously and get in touch with the interested party. Trust is a very valuable part of a joint business, but in the end franchisees or investors also have to bring a considerable amount of money to start an ice cream business. For more information, see System Protection. In the end, everything revolves around the passion for ice cream and the knowledge of how to bring the product to market. Owners of chains who want to significantly improve their quality, market presence, work processes and profitability through new approaches. ICEZEIT INTERNATIONAL will contact the partner via various communication channels and will meet at the given time primarily in the respective country. Presentation of a suitable consultant for the legally binding handling of franchise transactions in the target country. At the end of this selection process, a franchise contract with ICEZEIT International may be signed. ICEZEIT INTERNATIONAL has an advisory board of international experts in the ice cream business for any disputes in the field of franchise partners. Expansion targets are set by ICEZEIT INTERNATIONAL and gradually communicated to the franchise partners.